Every time I make a batch of Rustic Beads, I am always surprised at how much fun they are. Each one is like a little masterpiece and it’s great fun deciding which colors to pick and how I want it to be. And because it’s pretty free-form, I don’t have to really think too hard about following a procedure or making mistakes. Today I turned on some music and got lost in the process. I’ve needed to do that lately. It’s been a long winter, what can I say? I’ve made tons of these beads, but I never tried to make heart-shaped ones until today. The black just seemed to be natural against the red. And if you look closely you’ll see there is some sparkle. I love me some glitter. But not too much, of course! 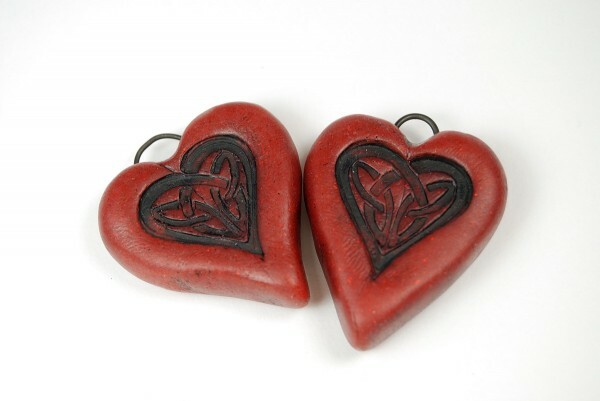 These hearts are pretty hefty and will have to be pendants rather than earring charms. And I tried some new colors, too. These purple and blue ones are really great and they might not make it to the Etsy shop. I might have to adopt them for earrings for myself. We’ll see. The roundish ones were a sort of new shape, too, and I think I’ll make more of them. They’re cute. I’ll try to get all these up in my Etsy shop tomorrow. And then I want to make some more Holo Hearts. 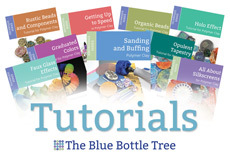 Do you want to make some of these beads yourself so you can pick your own shapes and colors? 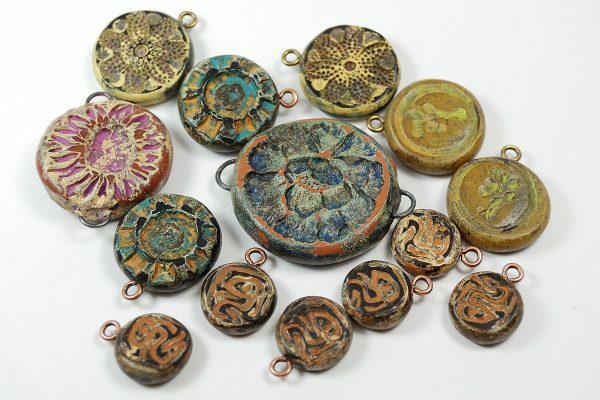 Then take a look at the Rustic Beads and Components Tutorial. I know you’ll like it! This is great tutorial. It gives lot of different options to creation nice beads. My favorite is red grey black beads. Thank you for sharing your new beads by familiar Rustic tutorial. Thank you, Maja. Your beads that you’ve done are actually what got me to extend my color palette into including the black. This really is a fun technique! Really nice rustics, love the patterns on them. Your hearts came out awesome and will make great pendants. Thank you Angie. I love them too. I have your tutorial, and it is wonderful! Your instructions are so clear – I feel like I can do this. LOL! Your new beads are great!